The president of the Competition Council Mladen Cerovac gave two lectures at the Osijek Faculty of Economics within the interdisciplinary project Jean Monnet Module EU Social Security and Competition Law. On 23 and 24 January 2019 two lectures on the EU competition law were given by the president of the Competition Council Mladen Cerovac at the Osijek Faculty of Economics within the interdisciplinary project Jean Monnet Module EU Social Security and Competition Law. 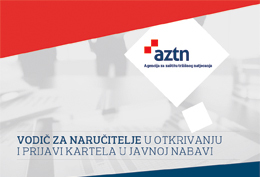 Mr Cerovac dealt with the general definitions and infringements of competition law, stressed the role of the Croatian Competition Agency (CCA), listed the examples from the CCA practice and explained the parallel application of the Croatian and the EU competition rules. Jean Monnet activities are designed to promote excellence in teaching and research in the field of European Union studies worldwide with the aim to promote research and life-long learning for scholars and practitioners in European Union issues, disseminate knowledge, foster the introduction of courses about specific European issues whereas the projects are carried out on five continents and include some 250,00 graduates a year. Competition policy is one of the most important EU policies. The knowledge of competition rules is indispensable for everybody who wants to participate in the internal market. Given the fact that law and economics graduates will take an active part in their future carriers in the EU market processes, this project will facilitate gaining of valuable insights into the matter concerned. The project leader is Dubravka Akšamović from the Faculty of Law in Osijek accompanied by the experts in the field of competition and EU law, Aleksandar Erceg from the Faculty of Economics in Osijek, Lidija Šimunović and Tunjica Petrašević from the Faculty of Law in Osijek, Jasminka Pecotić Kaufman from the Faculty of Economics and Business Zagreb and Mladen Cerovac from the Croatian Competition Agency.